However, back in 2016, the U.S. Patent and Trademark Office (USPTO) published a breakout Apple patent application covering the concept of “inductive charging between iOS devices and even through to a MacBook Pro,” as illustrated in the patent figures below and explained in greater detail here. 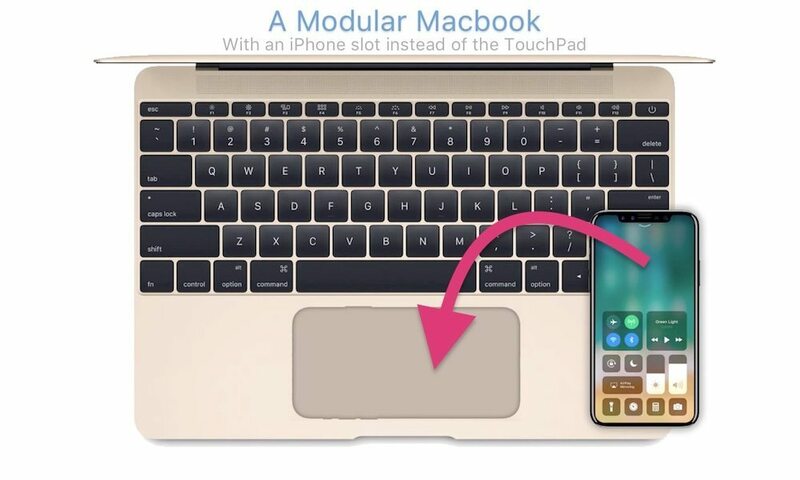 It’s a far-out concept, to be sure, and though Apple is unlikely to see it through to finished product, the fact it was published in the first place just goes to show the company has at least been exploring the concept of a MacBook with additional touchscreen capabilities behind-closed-doors. Interestingly, the USPTO recently published a continuation of Apple’s original patent covering the invention in even further detail and adding new technical claims in a likely bid to protect the integrity of the concept. The new claims are broken down below, as reported by Patently Apple. Does This Mean a MacBook Pro with Touchscreen Display Is Coming? Sadly, today’s continuation patent (No. 20180212455) is merely a patent application and therefore does not guarantee the development, release or timing of such a product to market. Apple’s continuation patent was filed in March 2018 but published by the USPTO last Wednesday. It’s certainly worth noting that while Apple may have a firm stance against “merging products,” an increasing amount of evidence has surfaced suggesting the company may be giving the idea second thoughts now. For example, Apple is slated to introduce iOS 13 next year featuring the finished product of “Project Marzipan”, which is an internal bid by Apple engineers wanting to enable iOS apps to run seamlessly on Mac computers. Apple also won its first patent covering a Touchscreen iMac concept which is absolutely crazy even though the likelihood of that is even more far-out than what we’re looking at here.